It’s P&G Championships this week, and we’re joined by two-time Olympic medalist, two time World medalist, high bar ninja Jon Horton for our very special national championship preview episode. Is the US better on pommel horse than high bar now? WHAT???? Can Maile O’Keefe and Adeline Kenlin challenge Emma Malabuyo? The scores say yes. Is Gabby Perea going to win bars without a dismount because of awesome again? Is Jay Jay Marshall going to hit all her insane acrobatics and challenge for the top floor D in the world? Will Adeline Kenlin show her Podkopayeva? Will Sunisa Lee get her Nabieva? Ragan Smith has brought a sack of upgrades this summer. Is the title hers to lose? Is Ashton Locklear still the queen of bars? 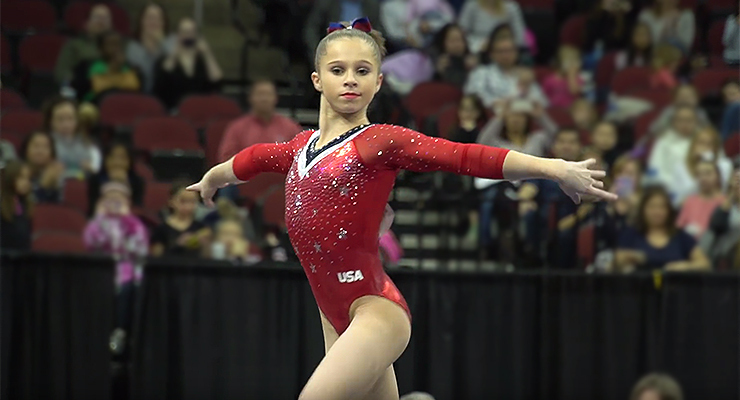 Can Jade Carey do it every meet? Will Marz Frazier show us her new Amanar? Did everyone get the memo about floor leaps? Ellie Downie is going to miss worlds, so worlds is canceled. Sorry. The case against USAG, MSU, Geddarts, etc. over Nassar abuse has been sent to arbitration. GOOD NEWS! It means the case should settle and victims won’t have to tesitfy. Brooklyn Moors is the Pan Am floor champion, and Jon discusses what’s so difficult about front tumbling, half out skills (spoiler alert: it’s everything about them). The Russian worlds team has kind of, sort of been named, and a certain Olympian isn’t on it. Carl Meader showed a stretched Gaylord. Because that’s a thing now. Evangelina Plyta does a Maloney to Deltchev and Tkatchev to Gienger. Taeja James is working a front triple full! Jordyn Brent is training a YURCHENKO DOUBLE BACK. WHAT THE WHAT. Clarifications about gymnastics drag queens, the Swedish worlds spot, Rayderley Zapata’s floor, the MO salto, the Rio leos, and something Jessica forgot to be outraged about from 1996 event finals. Plus, Jon tells us how he feels about his gay teammates. Beer With Betty: The Greatest Scavenger Hunt in the Galaxy STARTS THURSDAY! Here are the 10 tasks you must complete. Submit video OR photo by tagging BOTH @gymcastic and @precisionchoreo with hashtag #beerwithbetty on Twitter or Instagram by noon on Saturday August 19th. Pose in front and of P&G Championships sign. The more ridiculous your interpretation of poses on the sign the better! STARTS: 8am on Thursday, August 17 and will end at 12pm on Saturday, August 19. The winner will meet with THE Betty Okino at 3pm in Anaheim on August 19th! Remember: You don’t have to do them in order! As long as they are completed between Thursday, August 17 and Saturday at NOON. There are daily awards so be creative! Anyone or anything can be in the photos. It doesn’t have to be you. Make sure you are following us and Precision so we can message you with details of the TOP SECRET LOCATION right after the deadline of noon on Saturday so you can be there right on time to meet Betty at 3pm in Anaheim. 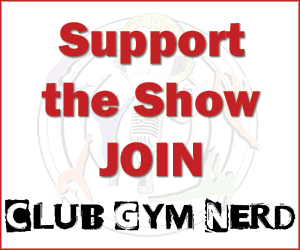 Please have Jon Horton on your show every week! He is so entertaining!